You Dont See Many Of These Basses Around And Personally I have never played one, But I Have Heard Good Things About These Basses.They Are Made By Cort Bass Guitars, A Longtime Maker Of Quality Bass Guitars. Here Is A Good Example Of A Curbow 5 String That I Ran across. This One Is Close To New But Still Used And He Is Asking $500.00 u.s. dollars. Notice The Single Pickup But It Has Active Electronics. He Claims The Bass Sounds Amazing,With Very Bright High`s And Growling Low`s::::: Up Date ::::::::::::: Then I Went Shopping Online Of Course And Found a little info that was interesting. It Appears Our Buddy selling this used curbow Loves This Bass Quite Alot, So Much So That He Raised The Price Higher Than You Can Buy This Bass New. 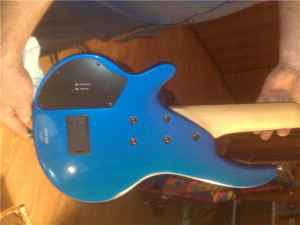 I Found A Place Selling this same Bass For $ 422.50 Online Thats Brand New. You Got To Watch Out With buying from private parties also ,It helps to do your research and know your market. 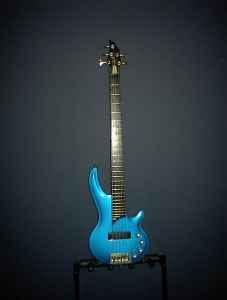 (The reason this website is here is for research ) But Still A Very Nice Bass Guitar. I Really Like It..-(*! 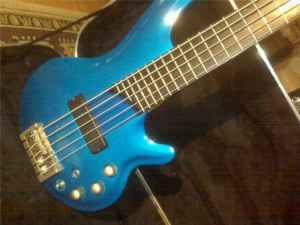 *)- Just Click On The Picture Below And Read The Great Reviews On This Bass, Very Impressive I Must Say. The Guy selling this one Thought So Too I Guess Hey ?